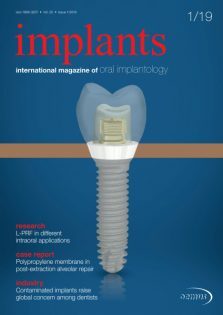 Since 2000, the magazine implants: international magazine of oral implantology has been published quarterly with a circulation of 10,000 copies. 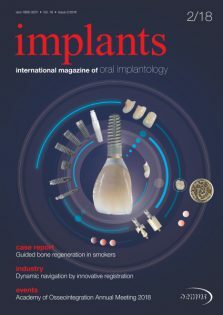 With a readership that spans over 100 countries, implants has become one of the scientific journals with the highest circulation on the dental market. 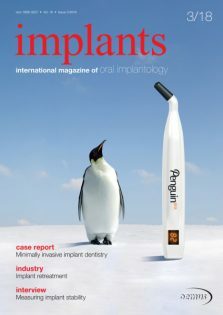 Implants is published in cooperation with the German Association of Dental Implantology (DGZI e.V.) - one of the oldest scientific implantological expert associations in Europe, which aims to leverage its international know-how and expertise in the field of dental implantology. 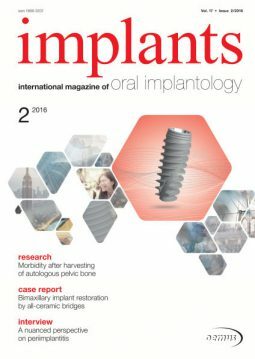 The readers receive regular updates on the world of international implantology by means of user-oriented case studies, scientific reports as well as summarised product information. 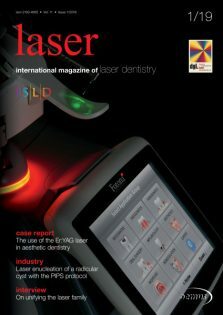 The magazine is particularly focussing on reports from international scientific congresses and symposia as well as on the international activities of the German Association of Dental Implantology whoseregular and associated members are part of a network which includes more than 11,000 specialists from the field of implantology. More than 80 per cent of the magazine’s circulation is shipped directly to its members and subscribers. 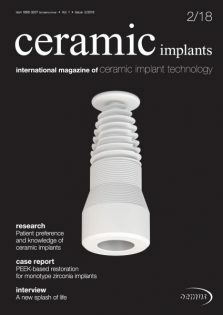 Moreover, specimen copies of implants are available at more than 50 international fairs and congresses. 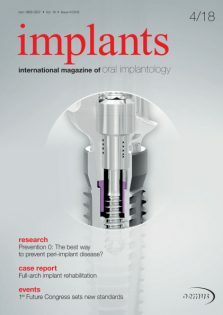 Implants: international magazine of oral implantology is published in English. The industry offers numerous biological and sythetic bone replacement materials and partly pays great advertising expenses to place them on the market. The autologous bone graft, on the contrary, applied with outstanding success in oral and maxillofacial surgery for decades, has no lobby. Is the application of autologous bone grafts, which needs to be harvested beforehand in a second surgery, outdated under these circumstances?